Home > Blog > CFO Services > CFO Services FAQs > When Do Outsourced CFO Services Make Sense? Businesses that lack a high level of financial expertise and sophistication sometimes turn to an outsourced CFO services firm to help them improve financial management. Such providers support CEOs and CFOs by delivering high-level financial capabilities to businesses that need them in order to achieve the key goals of improving profitability and increasing shareholder value. At the same time, hiring an outsourced CFO provides businesses with a tremendous amount of flexibility compared to the time and expense required to hire a full-time CFO. An outsourced CFO services provider can be especially helpful during periods of rapid business expansion and during transition periods between full-time CFOs, as well as to work on special projects and provide strategic planning and direction. There are many different scenarios where it may make sense to bring an outsourced CFO services provider into your firm. These scenarios can be grouped into three broad categories, based on the role to be assumed by the CFO services provider. 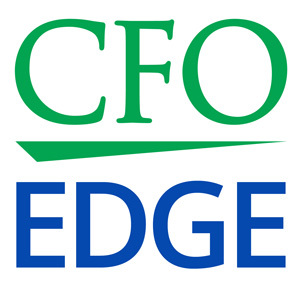 § Defining the permanent CFO position. § Recruiting candidates for the position. § Participating in the hiring decision. In this scenario, the services provider can work with businesses that can’t afford or don’t need a full-time CFO. Areas of responsibility are the same as described in the preceding section. § Realize that not having access to a CFO’s level of financial expertise is holding the company back. § Have a full-time CFO, but he or she doesn’t have the time or resources required to take the company to the next level. § Have a financial staff that is operational, but not strategic, and need some high-level strategic planning insight and direction. § Are concerned that their financial staff and key managers suffer from “tunnel vision” and want to bring in an objective outsider who can offer a fresh perspective on business and financial challenges and opportunities. 1. A specific financial transaction (such as a financial restatement or revenue recognition) for which integration assistance is required. 2. The integration of a recently completed merger or acquisition in order to meet the 70-day public filing deadline. 3. A specific financial project that requires focused, project-based engagement, but for which the staff doesn’t have the time or resources to devote to it. 4. A specific business process that is not working as well as it should and that an objective outsider’s perspective could help improve. 5. Upgrading or improvement of existing procedures and/or systems that the company has outgrown. 6. The capture of key business metrics and key performance indicators (KPIs) from systems and software in order to better manage a growing enterprise. 7. An upcoming audit (from which the CPA must remain independent) for which the business needs help preparing (including the preparation of financial statements). 8. Implementing a new accounting rule for which staff doesn’t have the time or expertise required. 10. Assistance in ensuring that policies currently in place are in compliance with state and federal laws. 11. Assistance in creating proper internal controls to deter internal fraud and embezzlement. In all of these scenarios and more, outsourced CFO services can provide the expertise business owners need to help them analyze their current situation and then develop and implement a plan for the company’s benefit. Using a provider of outsourced CFO services is an affordable and efficient way for Los Angeles businesses to gain high-level financial expertise, which can help drive profitability, growth and shareholder value. In the third article in the series, The Business Case for Engaging with a CFO Services Firm, we’ll take a close look at potential lost opportunity costs of not utilizing outsourced CFO services and where the return on investment in hiring such services may come from.